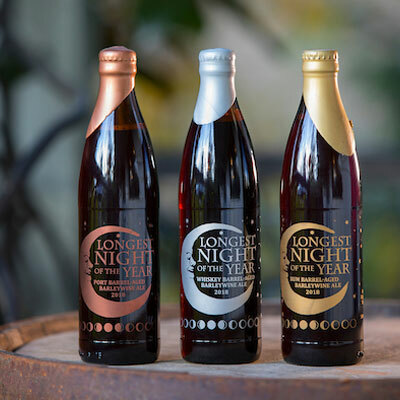 Our seasonal and special releases are available only at McMenamins and only for a limited time after their release date. 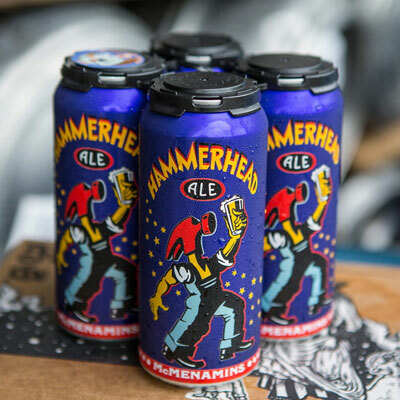 Our Ruby and Hammerhead cans are available year 'round. Available at the 23rd Avenue Bottle Shop and select hotels and pubs. 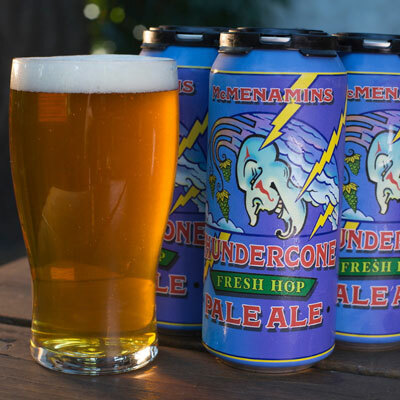 A classic Northwest Pale Ale and McMenamins Standard. This rich chestnut colored gem is a model of harmony between hops and malted barley. Hammerhead's signature Cascade Hop nose and intense hopped flavor blend nicely with the caramel tones from the Crystal Malt. This beer has a vocal following; to run out is an unforgivable sin. 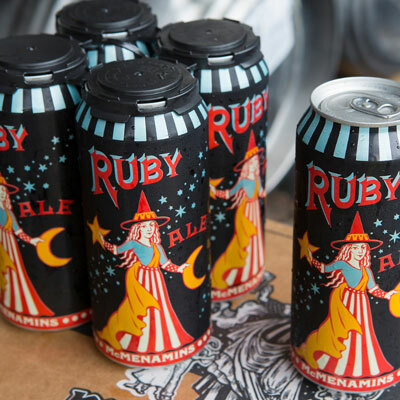 One of our most popular standards, we still make Ruby with the same aims we had when brewing the first batch back in March of 1986: To create an ale that's light, crisp and refreshingly fruity. Great Western Premium 2-Row and 42 pounds of Oregon-grown and processed raspberry puree is used to craft every colorful batch. Simple but delicious. 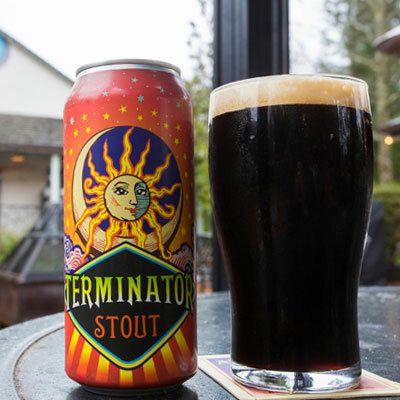 Black as the darkest night and as rich as the most decadent dessert, Terminator is for the true Stout lover. 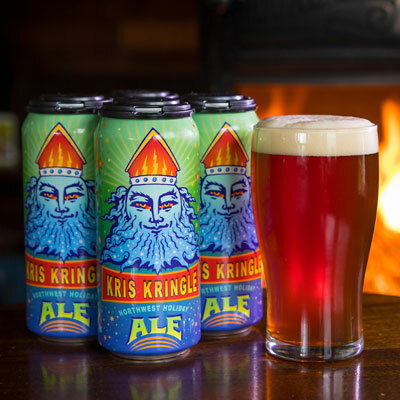 This is a full-bodied and flavor packed ale that draws it's robust complexity from kiln-baked specialty grains. Look for a wide array of toasted, chocolate, nutty and coffee-like flavors in every pint. The devoted swear by it, and it remains one of our top selling beers, year after year. 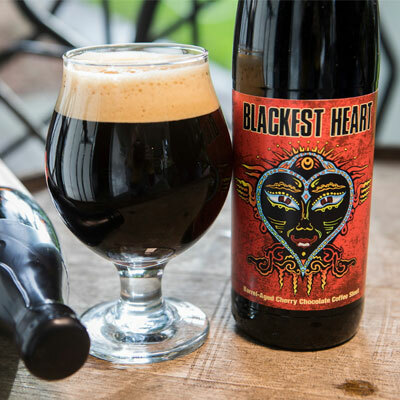 Blackest Heart is an Imperial Stout aged for over a year in Hogshead Whiskey barrels with sweet cherries, cocoa, and cold brew coffee. It's dark, indulgent, and hard to resist. Drawing inspiration from the best of the worst action movies of our generation, this American style Red Ale boasts a big body with toasted malt and chocolate notes. Heavy additions of citrus and floral hops lend to a better drinkability and layers of pleasant flavor. Our St. Patrick’s Day seasonal celebrates our absolute favorite holiday, whether in March or the halfway point every September! 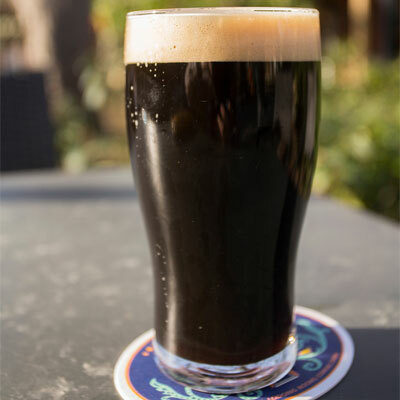 This ebony-colored Stout boasts a thick, creamy and long-lasting head. The flavor is a fantastic fusion of coffee-like roasted barley bitterness and semi-sweet chocolate. A moderate hop bitterness balances a hearty backbone, with a smooth, silky creaminess. This Wild Ale was made with pomegranate, spontaneously fermented in American oak and aged on fruit for three months. This is the third beer out of the Edgefield's Coolship Program, emulating a centuries-old method from brewers of Belgian Lambics. After brewing, the beer is cooled in open-air 'coolships' allowing contact with native, wild yeast. This beer is tart, fruity, and one of a kind. 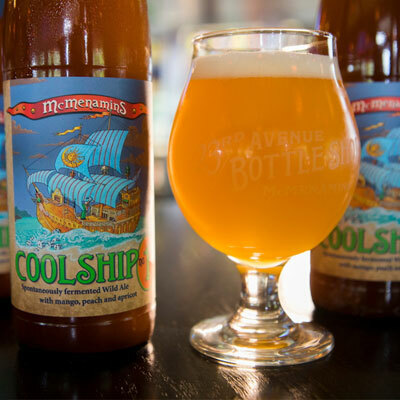 Welcome the first-ever company-wide spring seasonal IPA from McMenamins! 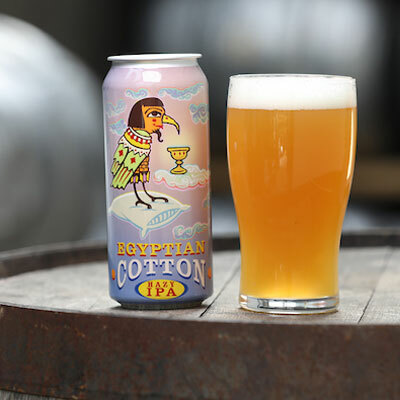 A light straw color makes way for aromas of grapefruit, mixed berries and fresh pine, thanks to a thorough dry-hopping. A medium body welcomes a bready sweetness and flavors of citrus and tropical fruit. The finish is crisp, with an adequate bitterness. 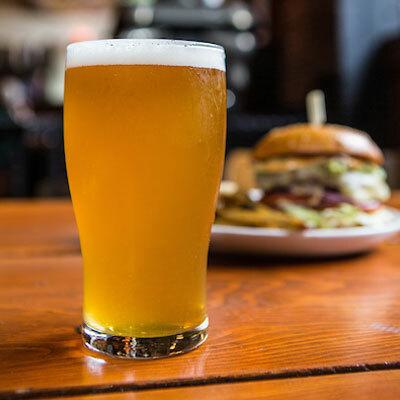 So, raise a pint to the institution that is the Pacific Northwest IPA. This brew was named after our nation’s first female police officer and the namesake of one of our venues. This company-wide seasonal delivers big aromas of berries and pine thanks to a hop blend created by the Pink Boots Society, an organization for women in craft beer. 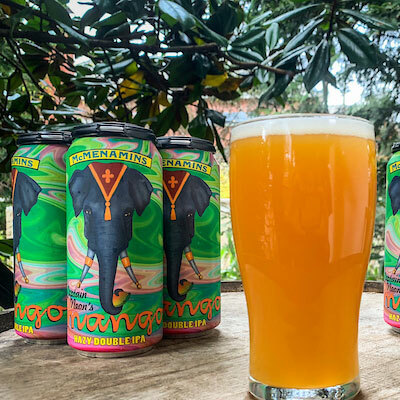 Lola’s Hazy IPA provides flavors of earth and passionfruit, with juicy quality that we think would impress Lola Baldwin herself! 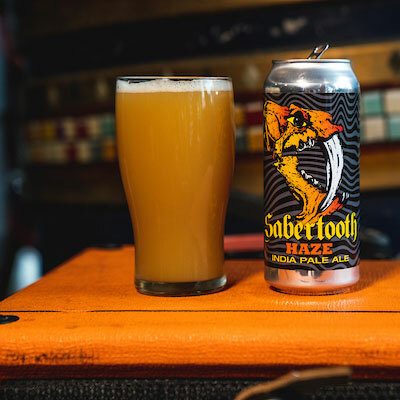 The Crystal Brewery has collaborated with the Edgefield Brewery to create a beer that's meant to mirror the spirit of the Annual Sabertooth Psychedelic Stoner Rock Micro Fest. 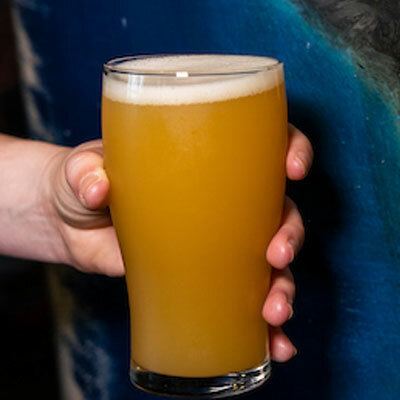 This hazy IPA boasts aromas of citrus and ripe papaya while a smooth, pillowy mouthfeel precedes resinous flavors of juicy tropical fruit and clouds of marijuana smoke. Raise a Haze to the stoner rock of past and present. This beer is sure to make a believer out of any skeptic! Orbiting above the Alienator IPA are tropical, fruity aromas provided by a thorough dry-hopping using Mosaic and Citra Hops. This tasty recipe yielded a fascinating orange hue complete with luminous hop flavor. 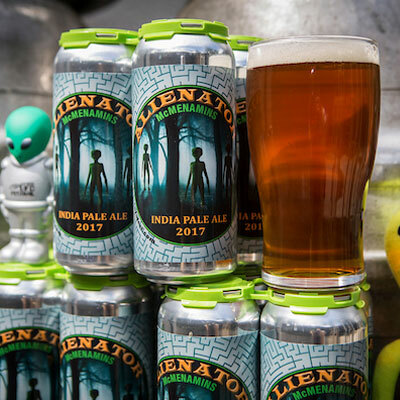 Alienator's lush aroma and distinct hop character is perfect for those who prefer their ales strong, hoppy and a little out-of-this-world. 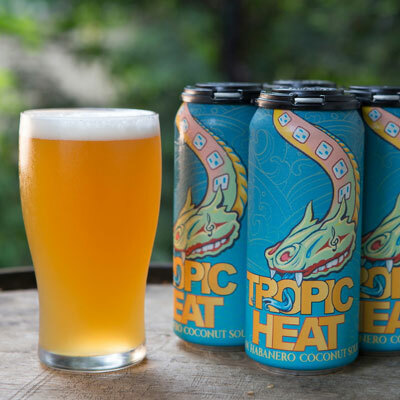 Tropic Heat is a kettle soured ale brewed with pink guava puree, coconut and habanero peppers. The heat contribution from the peppers is very minimal and creates a pleasant background quality that lingers. This slight spiciness accentuates the fruity, full guava taste that is this beer's foundation. Coconut was also added to pleasantly blend all of the fine flavors together. 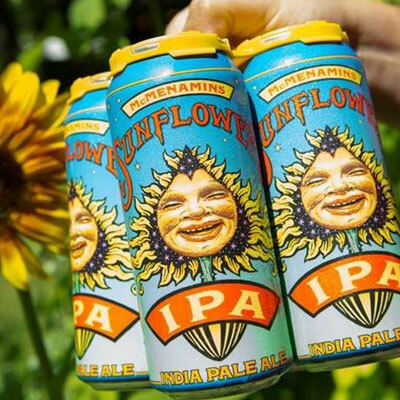 McMenamins Sunflower IPA was first introduced in the summer of 1995 at our West Linn Brewery. 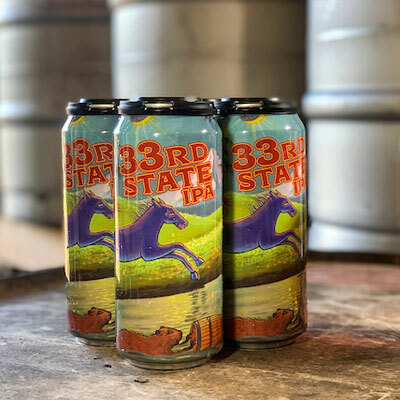 Inspired by the bountiful sunflowers grown in the pub's beer garden, this IPA has a deep golden color and distinct citrus flavors that satisfy both the diehard IPA drinker and those who prefer a lighter palate. Sunflower IPA is truly a beer for the masses. Tart and funky, this three-headed beast is a blend of a Golden Ale, a Nectarine Brett Pale and Ginger Hibiscus Gose. 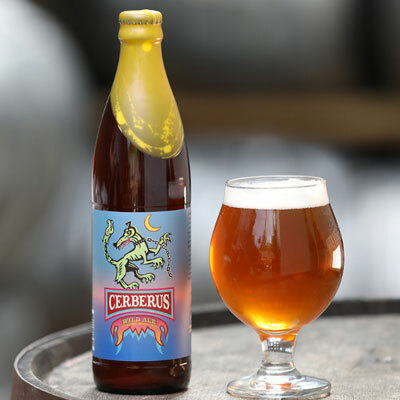 All three beers were aged together for two years in the Cerberus barrel, a former Hogshead Whiskey Barrel, and inoculated with a Belgian Wild Ale strain, Brettanomyces Bruxellensis, to create a pleasant and earthy tang that pervades this balanced beer. Fresh Simcoe Hops from the fields of Oregon’s Sodbuster Farms were rushed to every eagerly awaiting brewer within hours of the hops being picked. This fresh hop showcase boasts a smooth foundation, slight maltiness and an earthy, raw hop decadence. You may think you're dreaming, but this beer is in reality a short-lived dream come true. A reincarnation of a beer originally brewed by John Richen at the Fulton Brewery in 1993, this IPA is fierce. You're met by a straw color, and aromas of lime, berries and tropical fruit. A lively body crafted on a light foundation sets the stage for magnificent hop quality. Flavors of honeydew and citrus abound, followed by a crisp, dry finish. 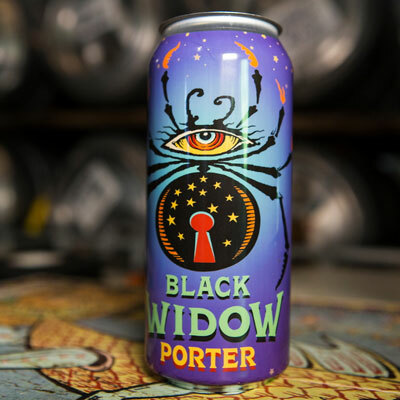 Originally created at the Thompson Brewery on October 15th in 1991, Black Widow’s web now envelops the entire company every year. Each sublime deep-black goblet is packed with the robust notes afforded by generous amounts of Black and Roast Malts, and further spirited with ethereal wisps of caramel and licorice. Lord Gourd is a blend of barrel-aged Black Widow Porter and barrel-aged Longest Night Barleywine. Terminator Stout was added to cut the heat and contributes roast caracter. The barrel adds a hint of vanilla that pairs well with the spice from rum soaked cinnamon sticks, creating the illusion of freshly baked pumpkin pie. This festive offering is limited, so enjoy it while you can! Just in time for the holidays, the McMenamins Brewers have created another gift for your tastebuds! 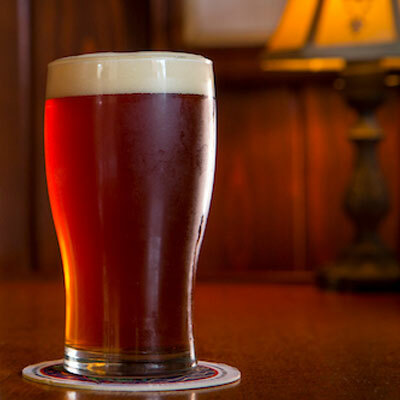 This year's winter warmer is a hearty and robust ale with a big and bold malt complexity. Toasty, caramel and fig flavors make up its sturdy foundation while two hop varieties added in five different additions deliver magnificent and intense hop flavor and aroma. Happy holidays! 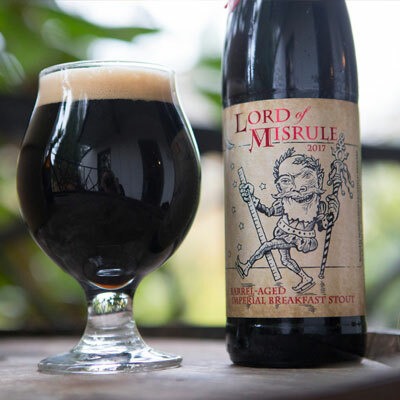 Lord of Misrule was first brewed at McMenamins Edgefield in 2014. 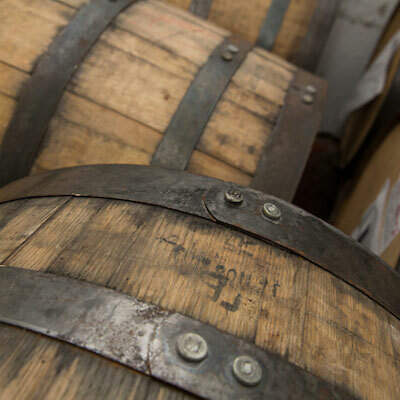 Every year since, the brewery has changed the recipe, making it one of our most creative and sought after barrel-aged beers. After aging in Hogshead Whiskey barrels, this beer is a true example of a classic, barrel-aged English Barleywine. Already a formidable ale in its own right, it has matured into a flavorful, complex behemoth. It offers flavors of toffee, caramel, and a warming alcohol character that's been rounded and accentuated by notes of raisin, vanilla, and oak from its aging. Named for the peculiar, diminutive fifth floor of the Tacoma Elks Temple, this IPA is shrouded in mysticism. Your experience will begin with aromas of grapefruit, orange and bright pine. Vibrant citrus flavors abound with earthy undertones and spice, providing noticeable balance. Let 5th Floor IPA be your guide as you hunt for this hidden level, and through any other quest your heart desires.